My other vision of winter is quite different: a paradox, a metaphor, “a tale as old as time.” Each year a special friend at RCC gives me an amaryllis bulb*, packaged for the holiday season with instructions for planting. Sometime between Christmas and New Year’s I dutifully put the bulb in the soil mix and add warm water as instructed. Then, lo, in a few days a miracle appears: the bulb begins to sprout green stalks and a hard green bean-like blossom emerges. And over the next few weeks, in my sunniest window the shoots of the plant grow strong and straight and reach for the sun. 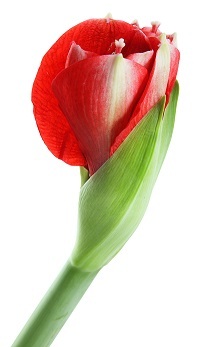 Amazingly, the hard green blossom begins to reveal the red, and within a month a beautiful amaryllis flower appears like the one shown below. This is special for me as I feel like the gardener who has produced something wonderful. 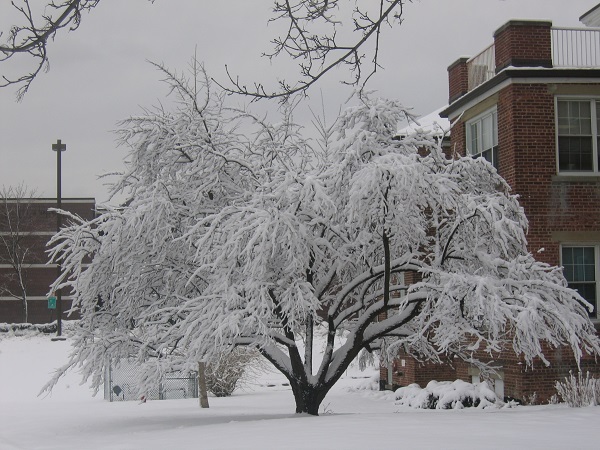 In the same way, I believe that all of us who work at RCC have the potential to become a gardener of sorts. We have the opportunity to cultivate, educate if you will, students and scholars who will be able to reach up and reach out as they develop their potential and achieve their goals. 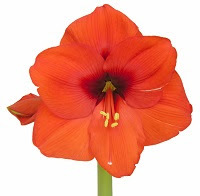 The new source of all information, Wikipedia, (LOL) provides the following definition: “Amaryllis (pronounced /ˌæməˈrɪlɨs/) is a small genus of flowering bulbs, with two species. region of South Africa, particularly the rocky southwest area between the Olifants River Valley to Knysna. For many years there was confusion amongst botanists over the generic names Amaryllis and Hippeastrum, one result of which is that the common name "amaryllis" is mainly used for cultivars of the genus Hippeastrum, widely sold in the winter months for their ability to bloom indoors.